Guess who’s back, back again. Cats is back, tell a friend. Seriously, this is all I have been doing for months! I was so flipping excited by the return of the jewel in Andrew Lloyd Webber’s crown that I have been banging on about it since I went to the press launch in July. Cats was one of the first West End musicals I ever saw. At only 9 years old, sitting watching Mungojerrie and Rumpleteazer up to no good, Mistoffelee’s cast his spells and Grizabella sing "Memory," I was truly captivated by the magic of theatre at it's finest. Some 16 years later, as I sat in the Stalls of the London Palladium, I realised that I still very much have a soft spot for this show. I have A LOT of thoughts regarding what I saw last night, but I will start with what will stick with me forever more; Nicole Scherzinger’s soaring and faultless vocals. OH MY GOD. Where has this lady been all my theatrical life?! Scherzinger was fundamentally fabulous as Grizabella. YES she is still beautiful, no amount of make up and shaggy cat hair will ever change that, but she brings a tragedy and terminal sadness to the role that was both heartbreaking and inspiring to watch. THAT key change. WOW. One of the fabulous things about Cats is that it is very much an ensemble piece and here the cast is very strong. From Cameron Ball’s Macavity to Zizi Strallen’s Demeter, to Benjamin Yates’ and Dawn William’s Mungojerrie and Rumpleteazer, Adam Salter’s back flipping Bill Bailey; it was all there. Furthermore it is when the cast come together as a whole that the genius of Gillian Lynn’s original choreography is evident. 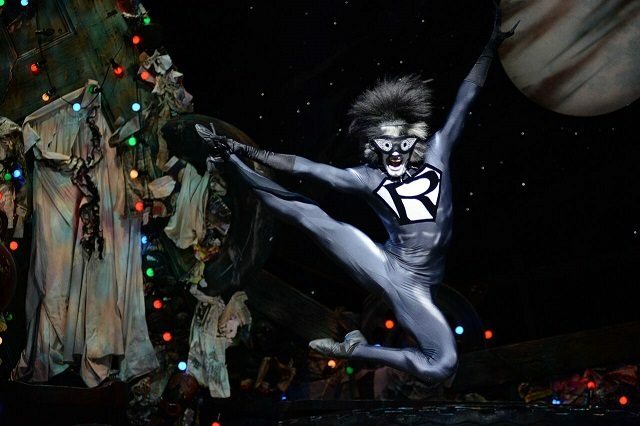 Okay so…my least favourite thing about the show; Rum Tum Rapper (oh, I mean Tugger. I think.) Look Andrew, Trevor, I get what you were trying to do. I think it is a very interesting idea to give the score of Cats a cheeky little revamp, but this may have been nice across the board, rather than just in this one rather cringe worthy song. Poor Antoine Murray-Straughan was tasked with delivering this rather awkward few minutes of rap, set to an unforgivable rave-like klaxon. I am not sure Murray-Straughan was fully on board with the new characterisation either, seeming to flit between London Grime and American Bronx. Hmm. Act Two was (and I suppose always is) markedly more entertaining than Act One as, aside from Mungojerrie and Rumpleteazer, pretty much all the stand out musical numbers come post interval. "Macavity" was delightfully delivered by Zizi Strallen and the 9 year old in me was positively gleeful at "Skimbleshanks The Railway Cat" and "Mistofelees." THEN of course, Scherzinger re-emerged. WOW. Back when the show opened at the New London Theatre in 1980, Cats was a ground breaking piece of theatre that played with traditional theatrical form. Of course in the past 34 years we have seen the form experimented with even further, but that does not detract from Cats’ cultural significance. Now watching Cats seems to be like watching a “classic” such as The Nutcracker or a much loved Shakespeare text. 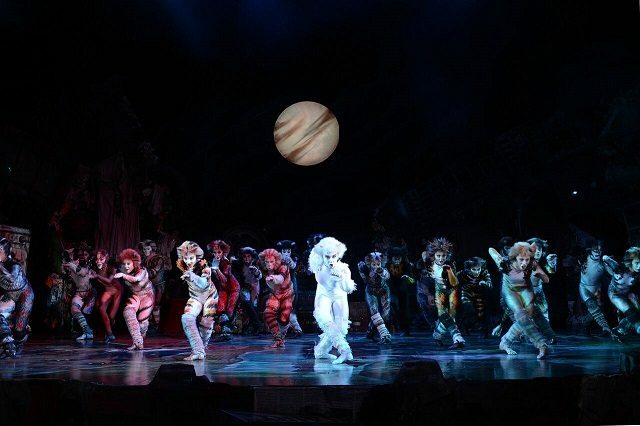 I truly believe Cats will be performed forever more and perhaps a creative team, more detached from the shows’ creation, can revamp it into something truly modern. To be honest though, where Webber, Nunn and Lyn are concerned, they have done their job. The memory WILL keep on living. 3 November 2015 - Does the cat still have the cream? 18 February 2015 - Guest Review CherAnn Macuroy T : "Stunning"
11 December 2014 - Nicole Scherzinger is SCHAMAZING!